Are your goals grounded and realistic? Do you have a way to measure progress and success? Do you have clear goals set to achieve the portion of overall business growth for which marketing will be held accountable? Do you have an effective plan to achieve this marketing proportion of the overall growth planned for your organisation? If not why? Are your marketing goals clearly aligned to business goals? Well if you hesitated on any of these or answered no to any of them, then you definitely need to consider SMART Marketing Goals. 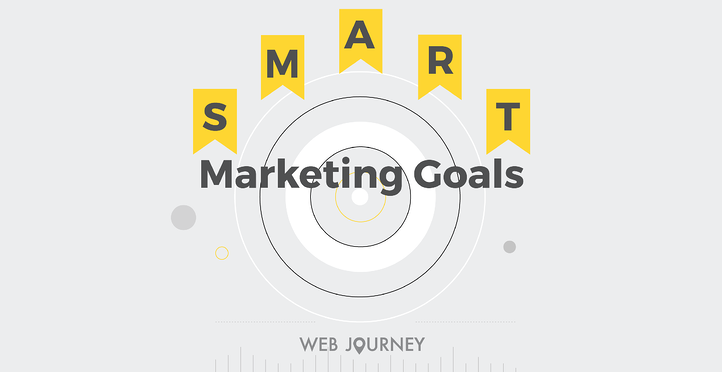 All of your marketing efforts should be aligned with SMART goals if you want to be successful. When creating a goal, you want it to be as short and specific as possible. Having a goal like "grow website traffic" or "improve email marketing open rates" isn't specific enough. Instead, set goals like "increase leads generated by 10% by end Q2 2017", or "increase email open rates to 60% by end Q4 2017". When you set any goals you need to be able to measure them. If you can't, then how will you know how you have done? How can you measure success if you don't know what you're measuring against? Take the example of "increase leads generated by 10% by end Q2 2017". This is a great goal as you know what your current lead generation volumes are and so it is easy to calculate what an increase of 10% will be. You can use this to track month on month against your goal to keep on top of progress and tweak your tactics if its not increasing quickly enough. At the end of Q2 2017 you will know straight away if you hit your goal or not. 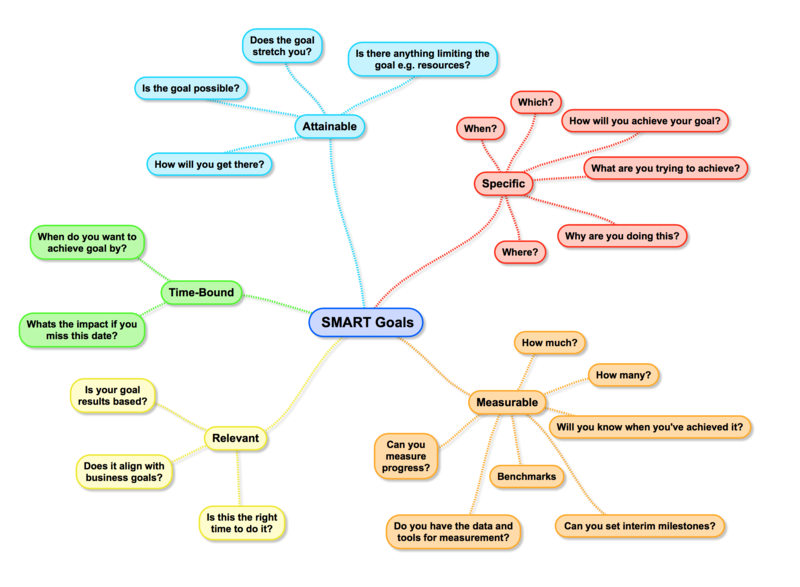 SMART goals need to be realistic and attainable. While its admirable to shoot for the stars, it's not a good basis for goal setting and you're unlikely to achieve these types of goals. So setting realistic goals is the best way forward. You can still try to beat them but at least you are being realistic. So for example if you are currently generating 100 leads per month its not realistic to set a goal of generating 500 leads by the end of next month (unless you have some marketing superpower that is). This is a 500% increase and is a goal you are unlikely to achieve. Setting unachievable goals can demotivate people who are tasked with trying to achieve them too so keep that in mind. SMART goals will actually encourage success and even over achievement. There's no point setting a goal that doesn't matter to your business or is one that it can't handle. Say you have limited sales resources. Your goal of "increase leads generated by 10% by end Q2 2017" won't make any difference to company growth if you don't have the salespeople to follow up with these additional leads. So why set that goal? In that particular case it may be better to set a goal around converting more leads into customers so your existing sales people can employ better tactics to achieve that goal, be more efficient, review their process etc. So make sure your goals are relevant or they won't mean anything. A goal is not a goal if you don't set a date to achieve it. Without a date you have nothing to work towards, there will be no sense of urgency and its unlikely that you will reach it. So be specific about when you want to accomplish your goal and start planning how you will actually achieve it. Increase followers of our LinkedIn company page to 250 by the end of the 3d quarter in 2017. Increase blog subscribers by 10% by end Q3 2017. Hit a lead conversion ratio of 4.5% by the end of the second quarter, 2017. Hit an email open rate of 60% by September 30, 2017. Generate 30 customers from inbound marketing in 2017. By setting SMART goals like these, and breaking them it into bite size pieces it will help you focus even more. Take each goal, plan your strategy, tactics, tasks and important milestones. Use the milestones as checkpoints to review how you are progressing and change tactics if you need to get better results in order to hit the final end goal. If you don't have a marketing automation solution in place you should consider getting one as it will enable you to track results of all of your marketing efforts in one place and will increase overall productivity. Check out our "Reasons you Need to Automate your Marketing" post to read about all the benefits. Quite simply, SMART goals keep you focused and increases your chances of success. They can be the difference between having an effective strategy or one that fails. SMART goals provide a clear and simple framework for defining and managing goals and objectives. They give you something tangible to work towards that can be easily monitored and measured. CMO's and Marketing Managers who set SMART goals are more likely to see much better results from their marketing projects and campaigns. They will be able to lead their teams with greater effectiveness while continually motivating team members. Clear priorities, structure, consistency, transparency, better resource management, motivation and accountability will become part of the culture. Success will become much more frequent and you will be able to prove to senior management exactly how much you contribute to the overall growth of the company. But remember, don't just set SMART marketing goals, make sure you put a detailed plan in place to help you achieve them. To help you get started, download our marketing goals template below to help you determine what your SMART goals should be for common elements such as visitors, leads, customers, conversion rates etc. An essential tool for setting your SMART goals. If you would like to discuss your marketing goals or need any advice on how to make them SMART and align them to your business goals, feel free to contact me at sinead@webjourney.ie.